What a cute card thanks so much for playing along at Catch the Bug and for using this adorable Bugaboo image! Join us again tomorrow for our September Anything Goes! Super layout - I love the clean lines of your sweet card! 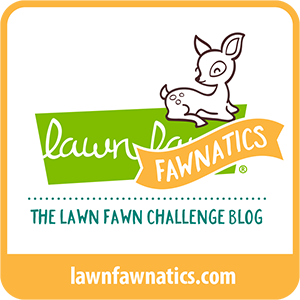 Thanks for joining our colour challenge over at Bugaboo Stamps' Catch the Bug blog this week - good luck! Please join us again soon. Adorable little scene! Thanks so much for sharing with the August color challenge at Catch the Bug this week. This is so adorable! Love the color choices and paper! The image is nicely colored and helps the impact of the image's story! Thanks for sharing at 613 Avenue Create! This is way too darn cute!! Great card! 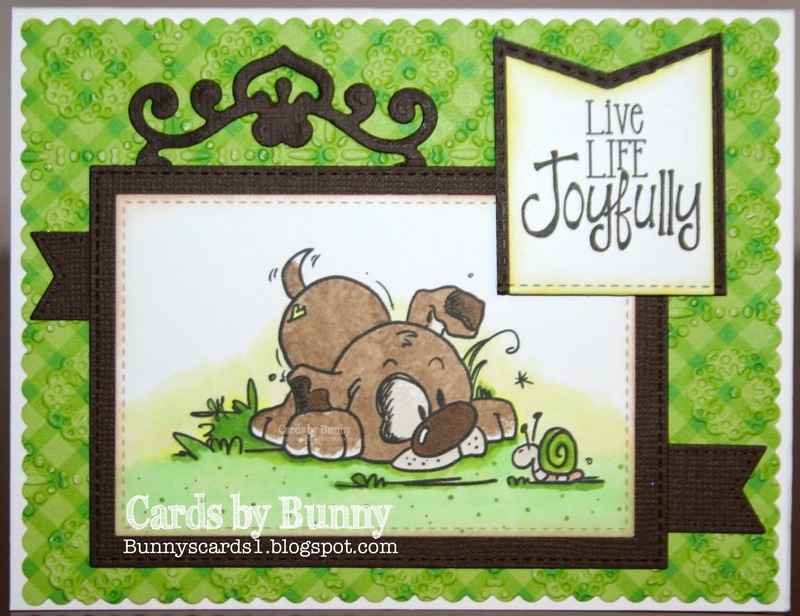 Thanks for playing along with The Bug Blog/Bugaboo Stamps Color challenge this week! We hope you'll join us again this week for both our Anything Goes and Stella Says Sketch challenges! Adorable card, thank you so much for joining our challenge. Fun card and of course I love the Bugaboo image. Great color choice for your card and coloring of the image. Thanks for sharing over at Inspiration Destination. Gorgeous card! I love the image you've used it's adorable. Love the subtle texture the embossing adds to the printed paper. This little guy is so adorable and looks great in this layout.